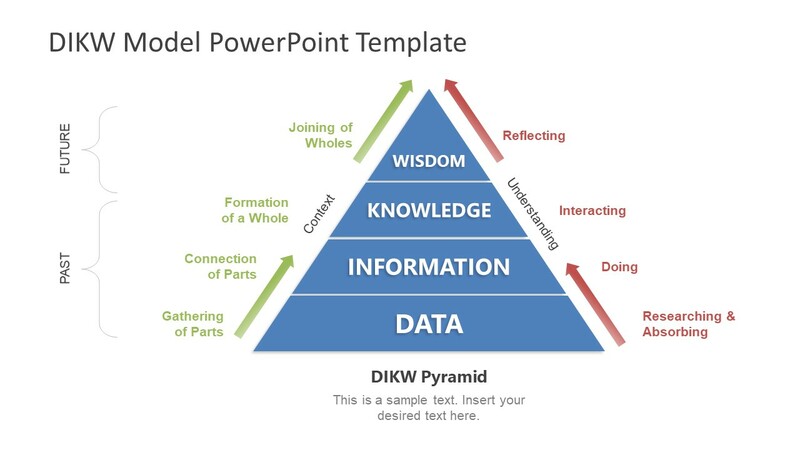 The DIKW Model PowerPoint Template is a pyramid style knowledge and information concept presentation. 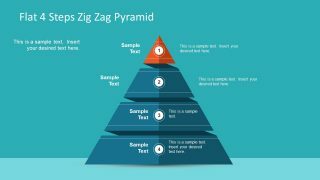 The DIKW pyramid is a hierarchical format of Data, Information, Knowledge, and Wisdom. This model explains a functional structure between these four components of hierarchy. 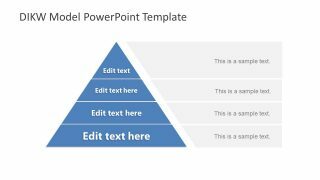 There are three separate DIKW model designs in PowerPoint. These designs help to deliver theoretical model through three different approaches. 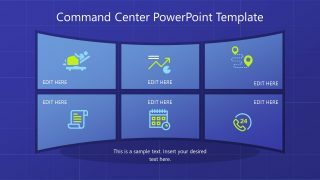 The DIKW model PowerPoint has a blue and white color theme which portrays a professional outlook. Typically, a graphic presentation makes it easier to explain such concepts. 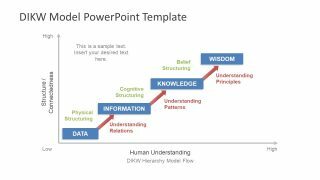 Therefore, the DIKW model can assist in explaining knowledge management and a shift from data to information, knowledge, and wisdom. The organizations use this methodology to analyze skills and needs of their stakeholders. But teachers can also use DIKW model to explain its hierarchy pyramid in several academic contexts. The information management DIKW model is a simple 4 slides template with easy to edit PowerPoint shapes. 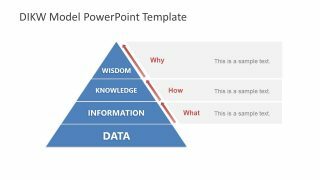 This model can represent data, information, knowledge, and wisdom as facts, figures, and symbols. Therefore, users can add clipart icons to represent the hierarchical levels of a diagram. Or, change the color of each level to make it more graphically appealing. This template also provides text placeholders on each slide to add useful notes. 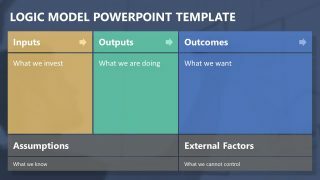 The slides of DIKW Model PowerPoint Template are decision making concept designs. For example, the first slide shows a classification of pyramid components as past and future. It defines the context and understanding of all four DIKW model components. Like data is about gathering parts while information is for connecting those parts. Second slide: A graph chart to define human understanding vs. structure which connects DIKW model flow. Third slide: data value extraction in a logical sequence of steps. 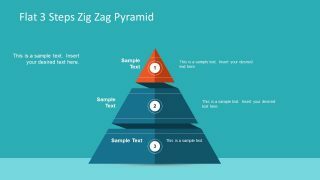 Whereas, the last slide contains 4 steps pyramid diagram which could be utilized for any other DIKW model approach.